Oregon Grows Partnership – An alliance of Oregon farm, rural development, local food, and food security organizations that advance common positions to support Oregon family farmers, promote healthy rural communities, and ensure safe and nutritious food for all Oregonians. Oregon Farmers’ Market Association – Promoting, supporting and helping establish Oregon farmers markets; providing services and educational assistance to market members; providing economic bridges between rural and urban communities. Northeastern Oregon Regional Farmers’ Markets – Serving farmers’ markets in Umatilla, Union, Baker, and Wallowa counties. Eastern Oregon Locavores – A place to share ideas and resources and connect with our neighbors to puzzle out the ways we can increase the portion of our diets that are resourced locally. Oregon Tilth – A nonprofit research and education membership organization dedicated to biologically sound and socially equitable agriculture. Friends of Family Farmers – Promoting and protecting socially responsible farming in Oregon. Food and Water Watch – Working to ensure the food, water and fish we consume is safe, accessible and sustainable. Center for Food Safety – Challenging harmful food production technologies and promoting sustainable alternatives. The Food Alliance – Working at the juncture of science, business and values to define and promote sustainability in agriculture and the food industry, and to ensure safe and fair working conditions, humane treatment of animals, and careful stewardship of ecosystems. Oregon Food Bank – Distributing food to agencies that feed people who are hungry throughout Oregon and Clark County, Wash, as well as working to address the root causes of hunger through public policy advocacy and education programs. CAPECO – The Community Action Program of East Central Oregon assists people to become independent, healthy and safe in Umatilla, Morrow, Gilliam, and Wheeler counties. 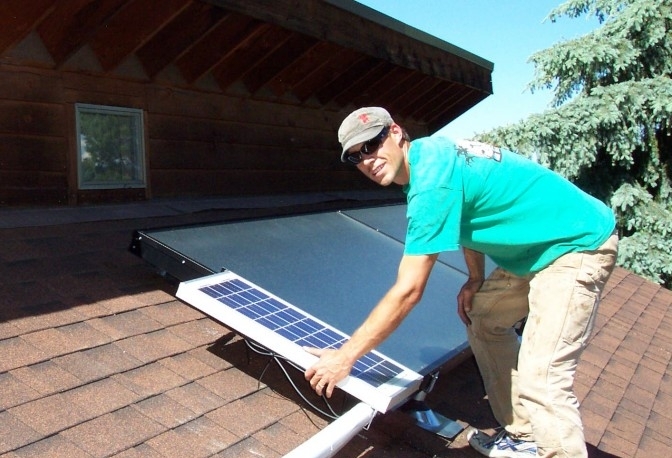 Solar Oregon – A membership organization providing public education and community outreach to encourage Oregonians to choose solar energy. Homegrown Prosperity Renewable Energy Bus Tour – WORC’s 12-week journey through seven states to promote good-paying jobs and income for rural communities and offer solutions to reduce greenhouse gases and pollution. Citizens Lead for Energy Action Now – promote sustainable, cost-efficient, and healthy energy options while phasing out energy sources that are dirty, expensive, and harmful to the health of humans, animals, and the environment. Renewable Energy Solutions, LLC (Enterprise, OR) – An international consulting and business development firm specializing in natural resource-based business development and renewable energy projects. Sun Storage (Joseph, OR / La Grande, OR) – Creates complete solar solutions for utility, commercial, municipal and residential applications including grid-tied, off-grid, and specialty application options. Northeastern Oregon Rideshare – Linking drivers and riders to promote more efficient use of fuel. Freecycle – A volunteer-run movement of people who are giving (and getting) stuff for free in their own towns. It’s all about reuse and keeping good stuff out of landfills. Wallowa Resources (Enterprise, OR) – Working to develop, promote, and implement innovative solutions to help the people of Wallowa County and the Intermountain West sustain and improve their communities and their lands. Community Solutions, Inc. (Enterprise, OR) – The for-profit subsidiary of Wallowa Resources, providing capital, business services and technical support to create and support businesses that generate benefits to the community and the environment. Ecotrust – Working to inspire fresh thinking that creates economic opportunity, social equity and environmental well-being. Sustainable Northwest – Providing dedicated, nonpartisan support for a community-oriented, conservation-based economy in the West. Capital Institute – A non-partisan, transdisciplinary think tank stimulating the interaction and action of leaders, scholars, and society by raising awareness of the need to harness the power of capital and markets to advance a just, resilient, and sustainable economic system that will improve lives and preserve the planet. Rural Organizing Project – Strengthening the skills, resources, and vision of primary leadership in local autonomous human dignity groups with a goal of keeping such groups a vibrant source for a just democracy. Eastern Oregon University Multicultural Center – Celebrating our similarities, embracing our differences. Western States Center – Building a progressive movement for social, economic, racial and environmental justice in the eight western states: Alaska, Idaho, Montana, Nevada, Oregon, Utah, Washington, and Wyoming. Center for Community Change – Building the power and capacity of low-income people, especially low-income people of color, to change their communities and public policies for the better. Ecumenical Ministries of Oregon – a statewide association of Christian denominations —including Protestant, Roman Catholic and Orthodox bodies—congregations, ecumenical organizations and interfaith partners working together to improve the lives of Oregonians through community ministry programs, ecumenical and interreligious dialogue, environmental ministry and public policy advocacy. WORC is a regional network of grassroots community organizations that include 15,190 members and 39 local chapters. WORC helps its member groups succeed by providing training and coordinating issue work. Oregon Rural Action is one of eight members of the WORC community organization groups. Western Organization of Resource Councils – Working to advance the vision of a democratic, sustainable, and just society through community action, WORC is a regional network of seven grassroots community organizations that include 10,000 members and 45 local chapters. Dakota Resource Council – Working to form enduring, democratic local groups that empower people to influence decision-making processes that affect their lives. Dakota Rural Action – A grassroots, family agriculture, and conservation group striving to build grassroots leadership through community organizing by giving people a strong voice in decisions affecting their qualify of life. Idaho Organization of Resource Councils – Working to preserve the economic well-being of Idaho’s family farms and rural communities; to build a more sustainable society which will guarantee positive economic and social choices for present and future generations; to achieve good stewardship of humanity, land, air and water. Northern Plains Resource Council – A grassroots conservation and family agriculture group that organizes Montana citizens to protect our water quality, family farms and ranches, and unique quality of life. Powder River Basin Resource Council – Committed to empowerment of people through community organizing and being Wyoming’s voice for responsible development. Western Colorado Congress – an alliance for community action empowering people to protect and enhance their quality of life in western Colorado. Western Native Voice– Western Native Voice is a Native American community organizing nonprofit corporation that works across Montana to strengthen Native American communities on reservations and in cities. The organization is governed by a four-member, all Native American Board of Directors. Many local business owners choose to join Oregon Rural Action as business members. Many have gone beyond this to provide generous support with a number of projects and events by donating materials, auction items, and expertise. In turn, many ORA members make a point to do business with their fellow members, as another way of showing our gratitude.